Heat 2 teaspoons olive oil in a non-stick frying pan over medium heat. Add the onion and garlic cook for 2–3 minutes or until softened. Allow to cool, place in a bowl with the mince, tomato sauce, salt and pepper and mix well to combine. Roll teaspoonfuls of the mixture into balls and place on a baking tray lined with non-stick baking paper. Heat the remaining oil in a large non-stick frying pan over medium heat, add the meatballs and cook for 5–6 minutes or until cooked through. 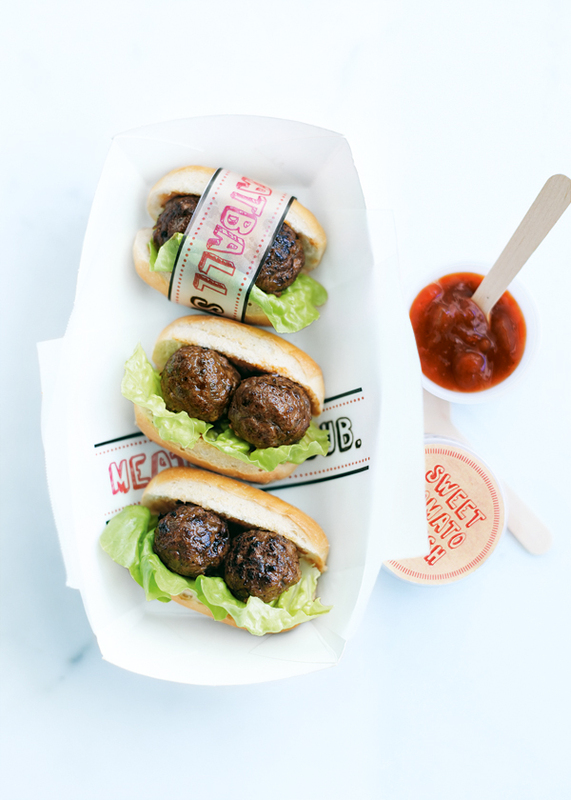 Place a lettuce leaf and 2 meatballs in each roll and serve with the tomato chutney. Serves 2. Tip: This recipe will make 20 meatballs. You can freeze the leftover meatballs in portions for future lunches. To defrost, simply place in the fridge the night before using.